Synthetic quartz is created by a process called hydrothermal growth. Hydrothermally grown synthetic gems crystallize slowly out of a solution (a mix of water and dissolved elements) that has been exposed to heat and pressure similar to the conditions on Earth under which the natural gem mineral grows. 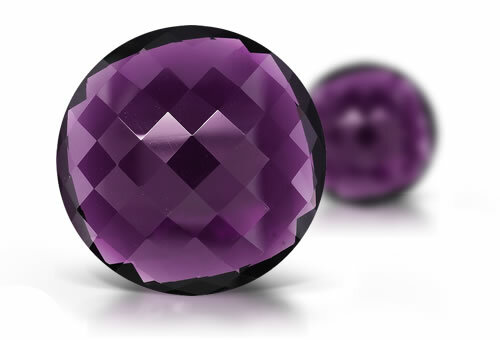 Synthetic gems have the same chemical, optical, and physical properties of their natural counterparts, but are a more cost-effective alternative to a natural gem. refractive index, birefringence, optic character and optic figure, lack of inclusions. Cobalt spectra on blue variety. It often takes advanced laboratory tests to tell synthetic from natural quartz. The presence of Brazil-law twinning used to be proof of natural origin but this is no longer true unless it is the colorless variety. Synthetic quartz is usually free of inclusions but some stones may show inclusions that resemble bread crumbs. Other possible inclusions are gas and liquid two phase nail head spicules and stain cracks. Color banding may be observed parallel to a seed plate as well as flame like twinning. The surface may also have a texture resembling cobblestones. Transparent pink quartz is rare in nature and the synthetic variety usually has eye-visible color banding. Unnatural blue color will be seen in blue synthetic quartz.